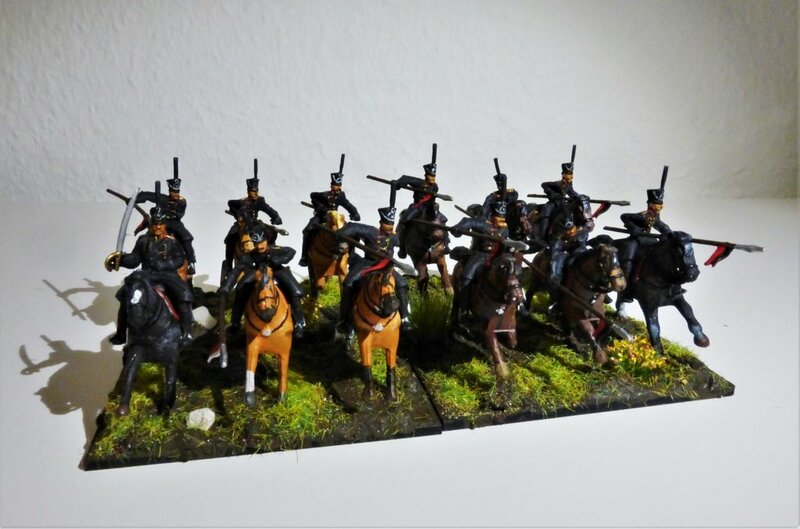 In the topic "plans for 2019" I have announced, I will build up the 1st Prussian Corps for Black Powder Rules I really would like to learn and play. So here is the first unit ready. The figures are the old HäT ones. Really not the best, but ok in this case, which is not a display. The detachment of volunteer Jägers is from Art Miniaturen. The figs are about 20 years old and replaced by new ones. I have also two command figures from Art Minis. But I would like to use the two Hät Sets completely and build a solid front of dragoons, that is why I did not integrate them. So I have to think about how to base and to use them, maybe as brigade command. Bravo! Bravo! Amazing brigade. Like a lot that "to be continued". 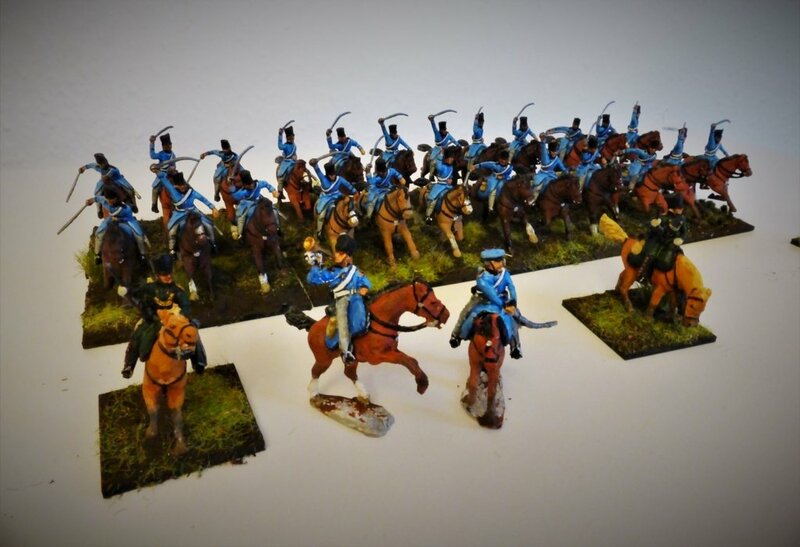 That also means I have to put hands on my French army and start increasing number of my line infantry battalions, let alone cavalry squadron. It looks like I also have to open a WIP post here. I gonna like this 2019 very much! Wow, you work very fast on your plan /to do list. And on top, there is a hole in the trumpet ! Wiking wrote: And on top, there is a hole in the trumpet ! Next step: 1. and 2. Squadron of the 6th Uhlans Regiment. 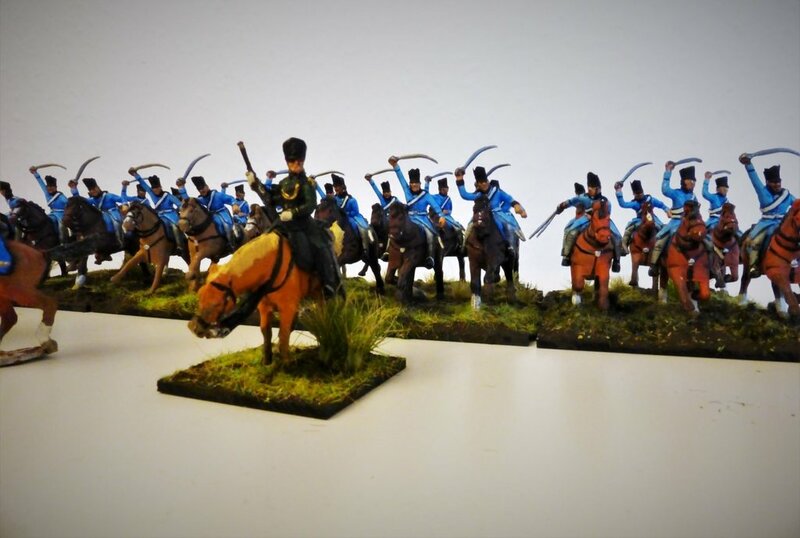 Part of the Reserve Cavalry 2. Brigade. These men are the former Lützower Uhlanen. 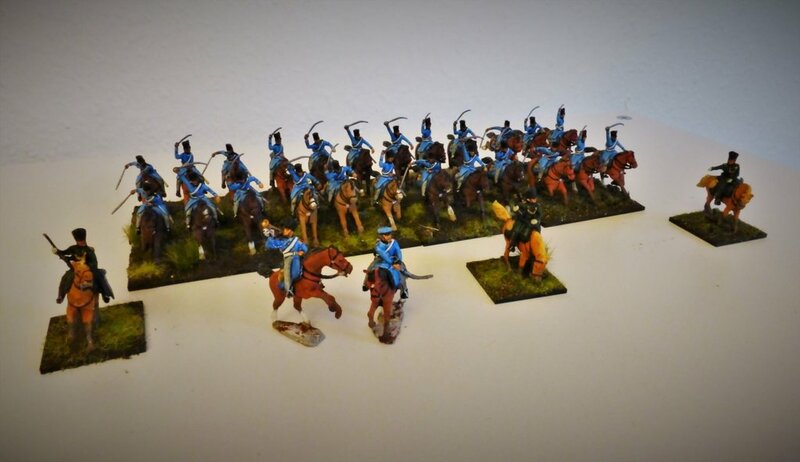 I have to add one Squadron of Lützows Hussars and one of Bremen Volunteers. These have to be converted. You've done a great job on these poor old HaT figs. The longer lances are especially good. Thanks Kurt! I am happy that you like them. And it is really good to see you here again. FredG has written it is so quiet here in the forum. 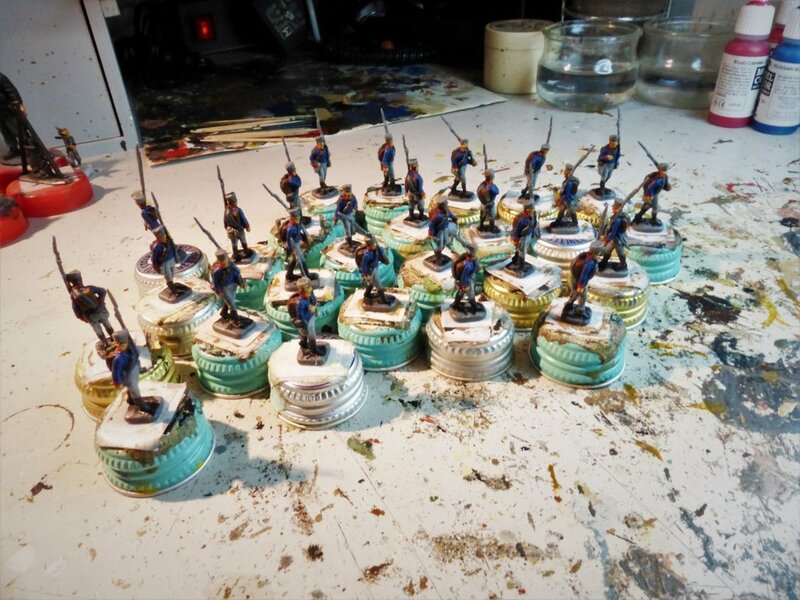 So I grap my camera and made a real wip foto of the 6th Infantry Regiement I am painting at the moment. 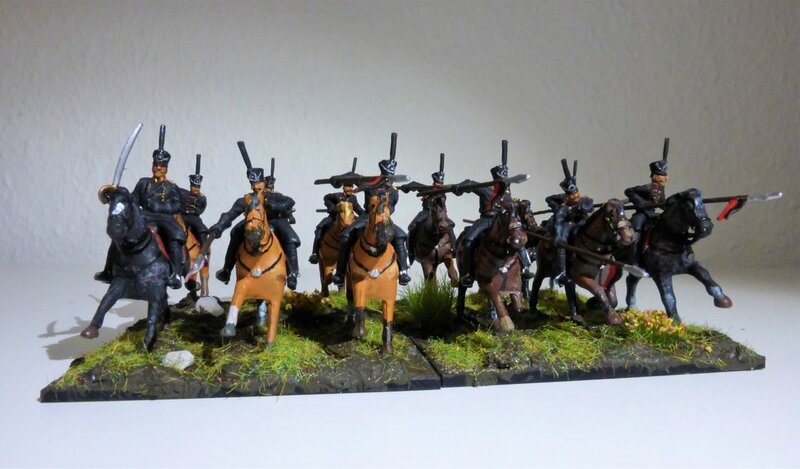 I use the really nice Strelets Prussians on the march. Hope to finish them maybe this weekend. MABO wrote: FredG has written it is so quiet here in the forum. So I grap my camera and made a real wip foto of the 6th Infantry Regiement I am painting at the moment. I use the really nice Strelets Prussians on the march. Hope to finish them maybe this weekend. I am quicker with the photos. 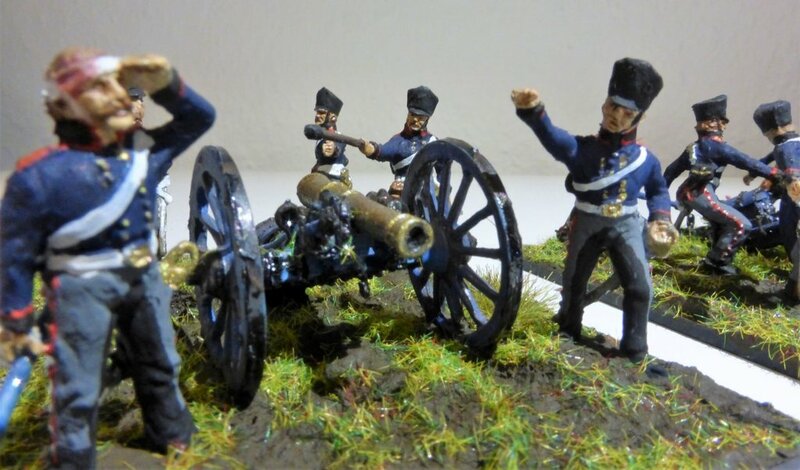 I used HAT Prussian infantry head swoops on the HAT Ulhans that made them look a lot better for my Schlact Von Ligny project. The Dragoons would be another candidate. Good luck with your project, my 1st Corps was over one thousand figures in strength. Thank you, Chris. Your project is in other dimensions. I will never reach this amount of figs for my Corps. The Infantry regiments will consist of 24 figures if they have three batallions, just to give an example. But I hope to finish this project this year. For me it is quiet big. Great looking Prussians Jan. 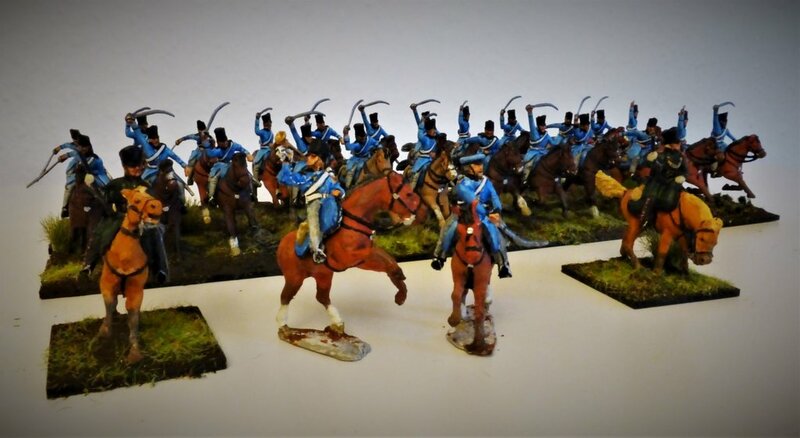 The HaT Dragoons are not the greatest figures but they're usable, and not giants, and you've got them looking rather splendid here. I really like the volunteer jagers and the dragoon officer. 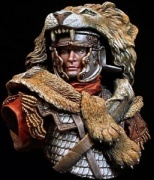 The uhlans are wonderful, I know some folks are not fond of these figures but I really like them. My only criticism of the set would be that the sabre is much too big for the figures. But it's just the right size to use with some other figures so I was glad that I had a few. 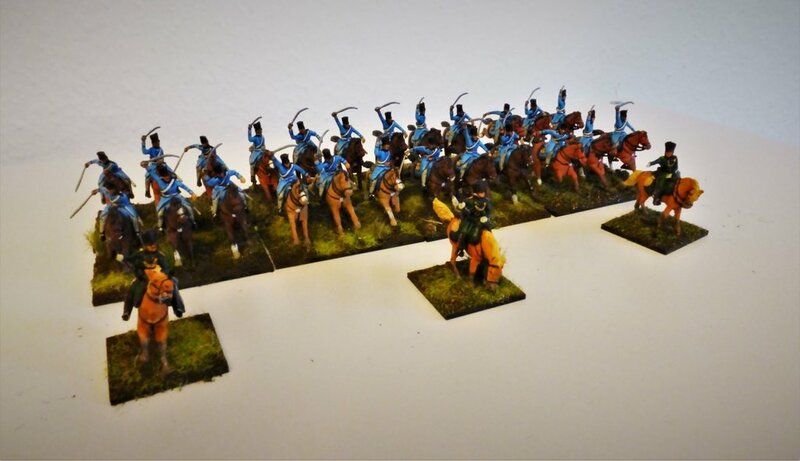 Yours are great, good dynamic figures, very nicely painted, well posed, and the horses and basing look really good too; I like these a lot. I'm interested to see how the new Strelets infantry turn out. Wow, so many well painted figs! How many figs will you need to recreate the army of lower rhine? Will they pass also the rhine? Today I can present you a small update on my project. 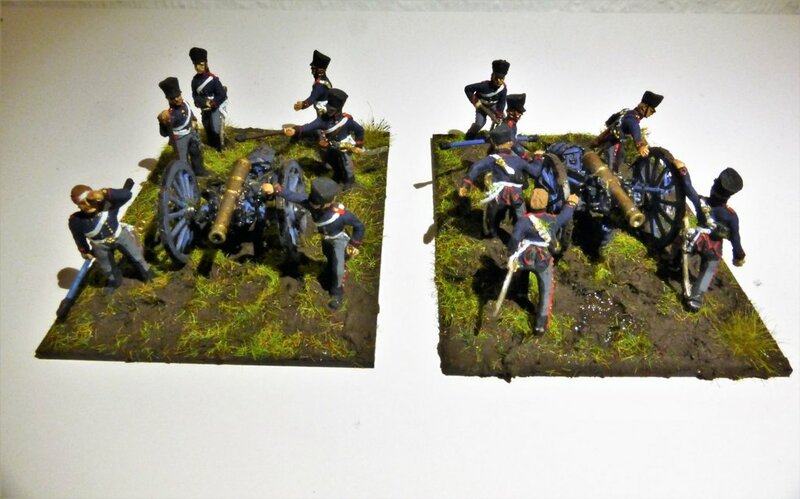 7th Mounted Artillery 1.Brigade 1. 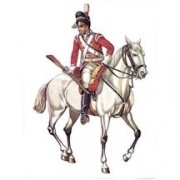 Corps and 2nd Mounted Artillery Reserve Cavalry 1.Brigade. Figures are from Art Miniaturen. I like them very much, because they are really lifelike.